These are a selection of some of our most frequently asked questions. If you don’t see what you’re looking for please feel free to call us on 01763 208855 and we can answer your questions straight away. Yes throughout the pub, we just ask that dogs remain on leads and under close supervision. 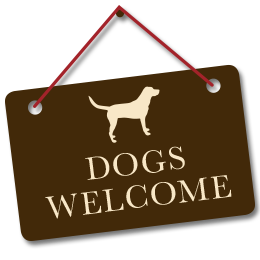 We are big fans of all pooches so please bring yours along, we look forward to meeting them! Yes absolutely. However we do have a few very sensible guidelines for our guests to follow during their time at The Green Man. These are in place for the safety and enjoyment of all customers. We are a licensed premises and so we ask that children under the age of 12 must be accompanied by an adult at all times, we place particular emphasis on children being supervised in the garden. We ask that children playing videos/games have the devices on mute, or use earphones if they require sound. We have a couple of sets of earphones that we are more than happy to lend out if required. We have 3 small steps to navigate between the front door and the restaurant, they are all approximately curb height. If you require completely flat access then we do have a secret passage through a staff storage area. It isn’t a glamorous entrance but does prove handy for some. Please feel free to call us on 01763 208855 to request this access in advance, or if you are popping in on a whim please ask at the bar and we will guide you through. We have a very accessible disabled toilet. Yes, with space for around 6 cars. There is plenty of car parking on the street should this be full. Please do respect our neighbours and park responsibly and considerately when in Thriplow. Can we come for a group booking? Our maximum party size is 11. We do not take parties bigger than 11 on a Friday or Saturday night. It is always worth calling to clarify and to discuss further.